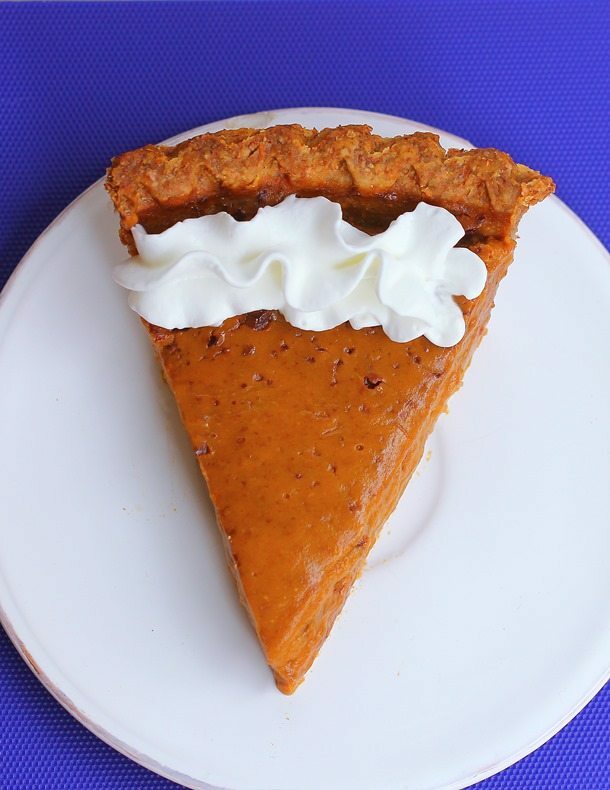 I am so in love with this healthy sweet potato pie. 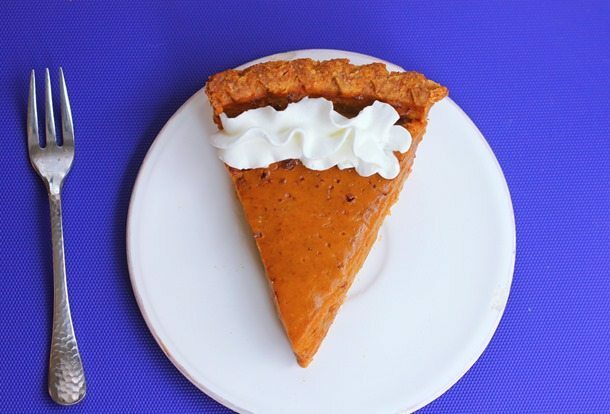 It’s everything a traditional homemade sweet potato pie should be – extra smooth, with a light and flaky pie crust that melts in your mouth. If you grew up in the South, chances are high you’ve been to at least one family gathering in your lifetime where sweet potato pie made an appearance. But while pumpkin traditionally reigns king in the rest of the US, the under-appreciated sweet potato too often goes overlooked or is relegated to that ubiquitous sticky-sweet marshmallow casserole on every Thanksgiving table. 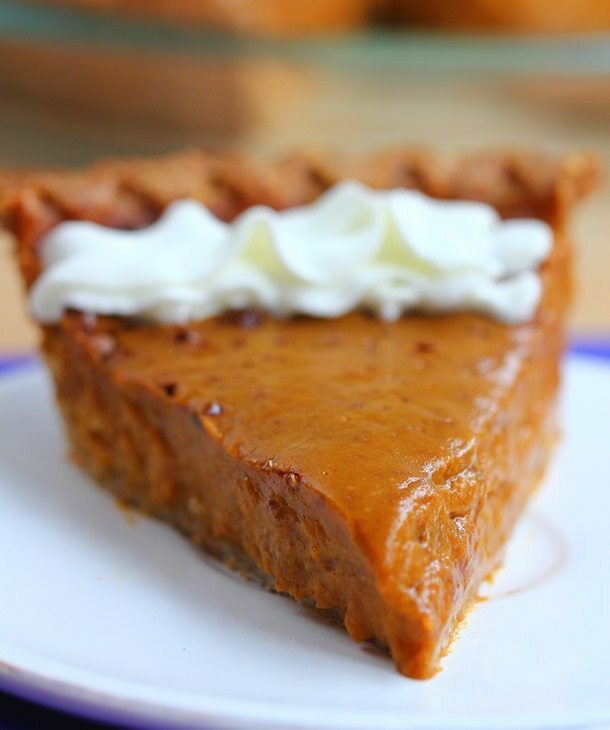 I’d argue that this healthy sweet potato pie is actually even better than pumpkin pie! Just one bite of the sumptuously smooth sweet potato filling, and you will be converted for life. It’s no secret how much I love sweet potatoes. 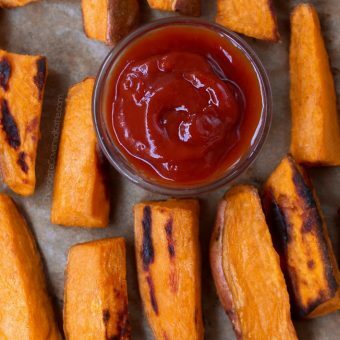 On the blog, I’ve used them in cupcakes, chili, roasted slow cooker vegetables, and in one of my site’s most popular recipes: the Crispy Sweet Potato Fries. Many grocery stores will carry already-canned sweet potato puree, but it’s easy enough to make your own by roasting sweet potatoes in the oven and then blending the flesh until smooth. 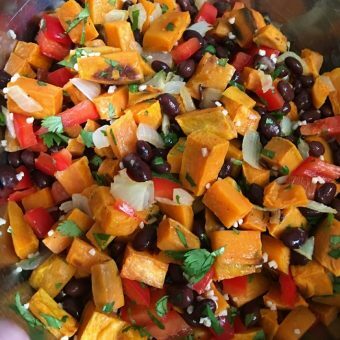 Want to know the easiest way to add more sweet potatoes to your life? 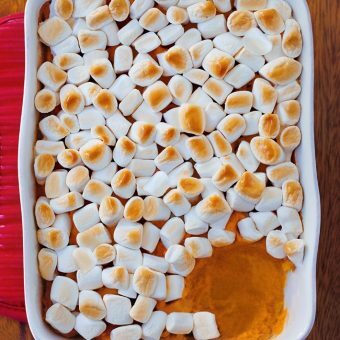 Just take your favorite pumpkin recipe and switch out the pumpkin puree for sweet potato! Preheat oven to 400 F, and prepare a pie crust in a 9-inch pan (I list a crust recipe below that you can use if desired). Blend all pie ingredients until completely smooth – or you can use oat flour instead of oats and stir by hand. Pour the filling into the crust, then bake 30 minutes on the center rack. Don’t open the oven door, but turn off the heat and leave in the closed oven another 30 minutes. Take out the still-underbaked pie, and let it cool. Then transfer the pie uncovered or very loosely covered to the fridge, where it will firm up after 5-8 hours or overnight. Preheat oven to 200 F. In a large mixing bowl, combine dry ingredients. Add the oil, and stir. Add water as needed until it just sticks together but is not yet gummy. 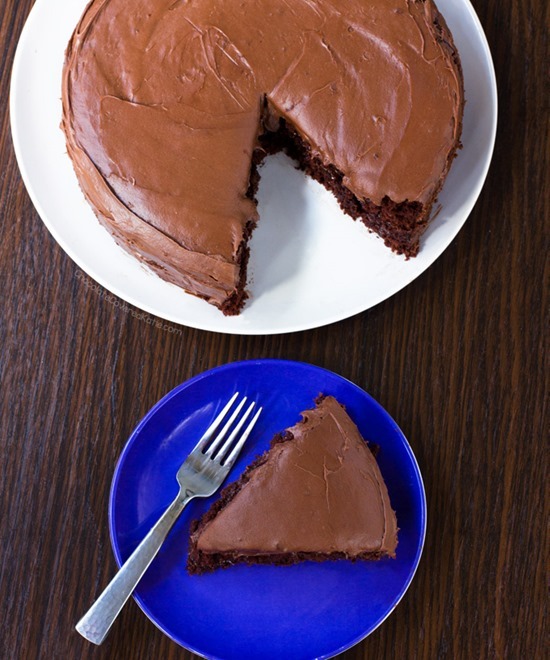 Press evenly into a 9-inch pie pan. Put the crust in the oven and immediately increase the temperature to 350 F. The crust will rise, so either use pie weights during baking or just press the pie crust back down after baking. Bake 15 minutes. Let cool. Then use in the above sweet potato pie recipe. 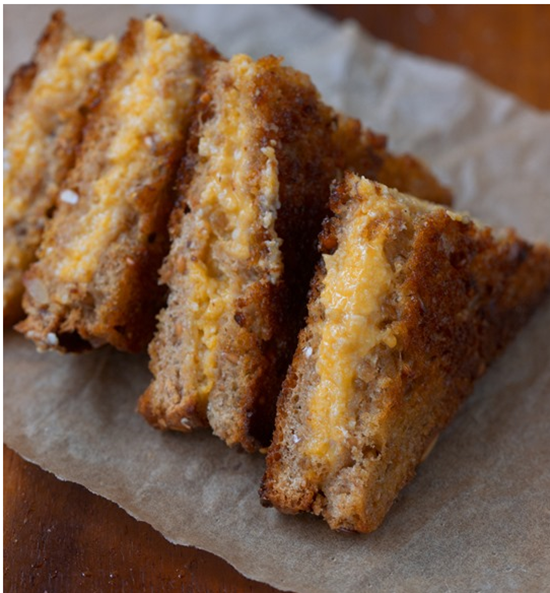 Twelve healthy and super delicious ways to eat pumpkin at breakfast, including pancakes, cinnamon rolls, and pumpkin grilled cheese! I am looking forward to trying the recipe. I am just wondering, since 15 ounces sounds like a typical canned weight, whether you are using canned sweet potato puree or homemade. If I want to use homemade, would boiling or baking be the preferred method? Thanks! I did indeed use canned this time; but when I make puree to bake with, I prefer to roast the sweet potatoes first. They are sweeter that way. What would the measurement be? About 2 cups or so? Happy holidays, and thank you for sharing!!! Hi! Thanks so much for this awesome looking recipe! Any suggestions for subbing the oats? I react to oats even if certified gluten free. I would love to make this pie for the holidays!! Thank you! I haven’t tried but would think that almond flour (maybe 3 tbsp?) or extra flaxmeal should work. It’s such a small amount that I don’t see why subbing it out would hurt anything. Be sure to report back if you experiment! Looks so great! I love sweet potatoes! Should the rolled oats be processed to a flour or added as is? I added the oats with the other ingredients and then blended everything together – it worked perfect. Amazing easy recipe Katie!!! I have a recipe for sweet potato pie but it is so NOT healthy. Haha this is a great option! Would this recipe work / still firm up if we wanted to make it crustless?! Thanks! 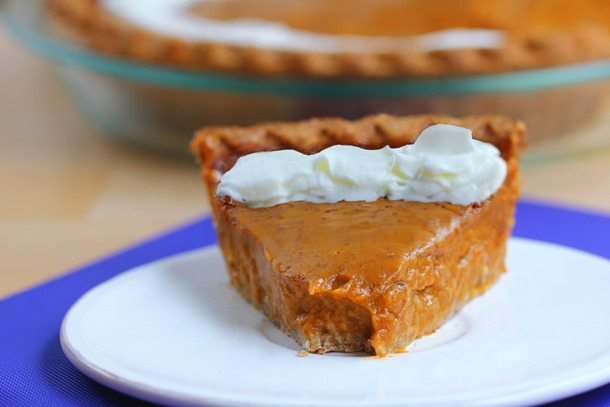 I’m intrigued by this sweet potato pie as I’ve never come across anything like it in England but it’s actually a really clever way of enjoying a sweet but healthy treat! 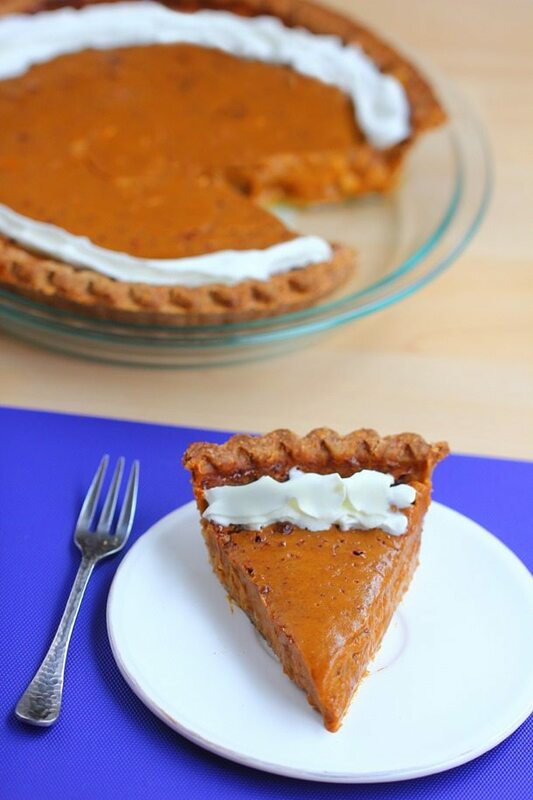 I never tried sweet potato pie before but this one looks so good that I simply have to try it! This recipe sounds great. If I want to make it with homemade sweet potato purée, how long should I roast the sweet potato for, and at what temperature? Thank you. It depends on the sweet potato size, but I roast mine at a MUCH higher degree than most sites will tell you. I think it really brings out a caramelized flavor. So I poke holes in the sweet potato and bake at 450 F for twenty minutes then I’ll check the potato and continue to bake it until it’s soft and the flesh is nice and caramelized. I have never tried sweet potato pie before! Only ever pumpkin, this will make an awesome addition for our Thanksgiving dinner. Thank you! While I love sweet potates/yams and do intend to try the recipe as written, I would also like to know if you think the recipe would work using canned pumpkin instead. Thank you so much for making it!! Love, love, love this…. Made it for Thanksgiving & got tons of compliments. Omg. This was by far my favorite thing I made this Thanksgiving. You’ve created a sweet potato pie loving monster out of me. I think I will have to start a blog called Sweet Potato Pie Covered Kayla. I’ve eaten a lot more of this pie since Thanksgiving than I care to admit. But hey, sweet potatoes are a vegetable which means I’ve been eating my vegetables for breakfast, lunch, dinner and dessert… hehehe. 😉 I topped this with So Delicious CocoWhip which is absolutely delicious, also. I made this for my family. I LOVE it and I was told this is one of the best desserts I’ve ever made! Everyone agrees it is definitely better than pumpkin! This is sooo good. I love sweet potatoes too so I knew it was bound to be. 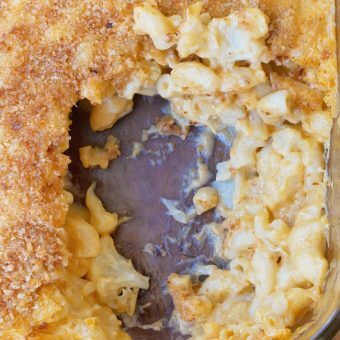 Its texture is so great and soft and creamy. I was asked three time if there were eggs in it! Nice flavor, but mine was still pretty goopy after being placed in the fridge overnight. I’ll probably cut the milk back if I make it again. So I realized I didn’t have a pie crust after I made the filling so I just baked it in a pie tin and it didn’t turn out great however the flavors were all there I think it would have been great if I had made it correctly and with a smaller diameter tin b/c it was really thin with an 8″ pan. Anyway if you combine all the wet ingredients using coconut milk before adding sweet potato omg it’s one of the best things I”ve ever tasted comparable to orchata, I will be making that by itself in the future just to drink.